I did not know Jo Cox, the MP who was brutally assassinated by a right-wing activist shortly before the Brexit referendum. But we both moved to Belgium in 1999, and had a lot of mutual friends. 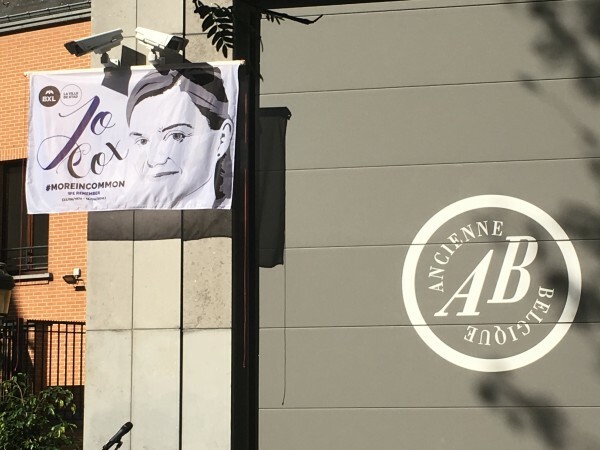 She worked first in the office of Glenys Kinnock MEP and then for Oxfam, including as head of their Brussels office, before she moved back to the UK, and I am sure we were in the same room on numerous occasions. 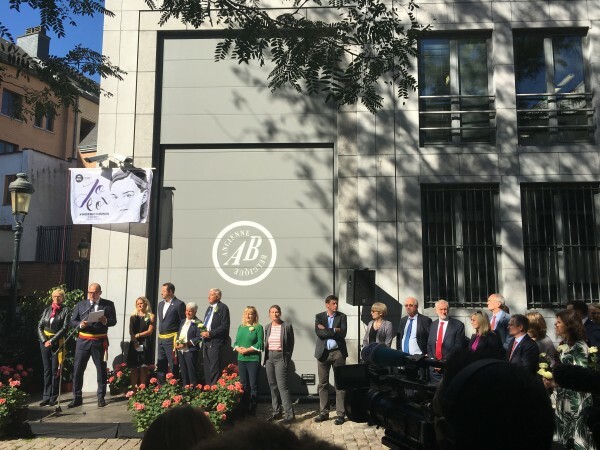 Today, the city of Brussels named a square downtown after her, a block from the Bourse, two blocks from the Grand Place, and behind the Ancienne Belgique concert hall, as part of an initiative to name more streets and places in Brussels after women - if I understood correctly, this was the first such renaming to take place. 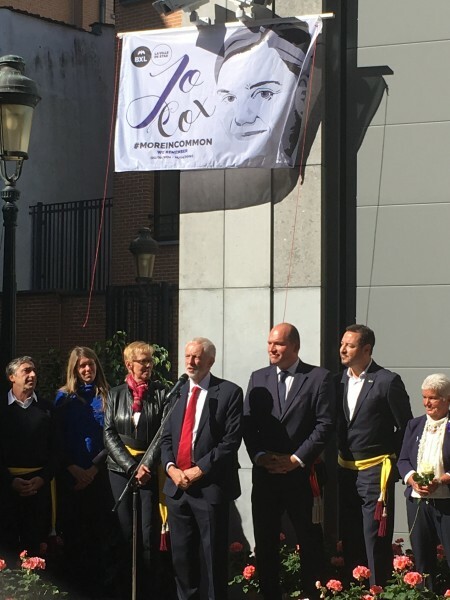 I attended with a colleague who also had social links with Jo Cox's friends, and it was a very moving ceremony, with speeches from the mayor of Brussels Philippe Close, the alderman for housing Mohamed Ouriaghli, Jo's sister Kim, Jeremy Corbyn and two MEPs, Richard Corbett and Udo Bullmann. I am not Jeremy Corbyn's biggest fan, but his short well-judged speech moved me to tears. Labour's Brexit spokesman, Sir Keir Starmer, was also there. and Nkosi Sikelel' iAfrika, that great song of freedom and looking forward to a better world. And the new name plaque was successfully unveiled. 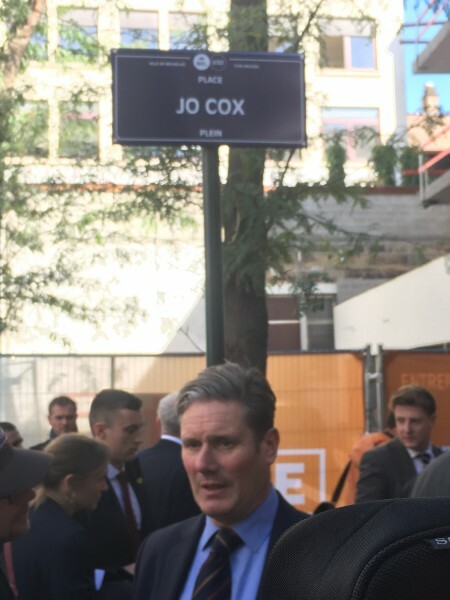 I heard on good authority that the city's original plan was to name the square using her full name, "Helen Joanne Cox", and the decision to just go for "Jo Cox" was taken as late as last night, requiring hasty repainting of the two signs. It was the right thing to do.